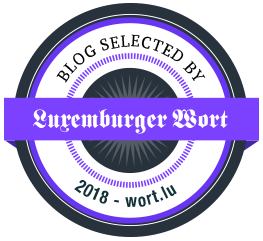 Living in Luxembourg has many advantages but one of them is that our cuisine is made up of the best recipes from Germany and France. 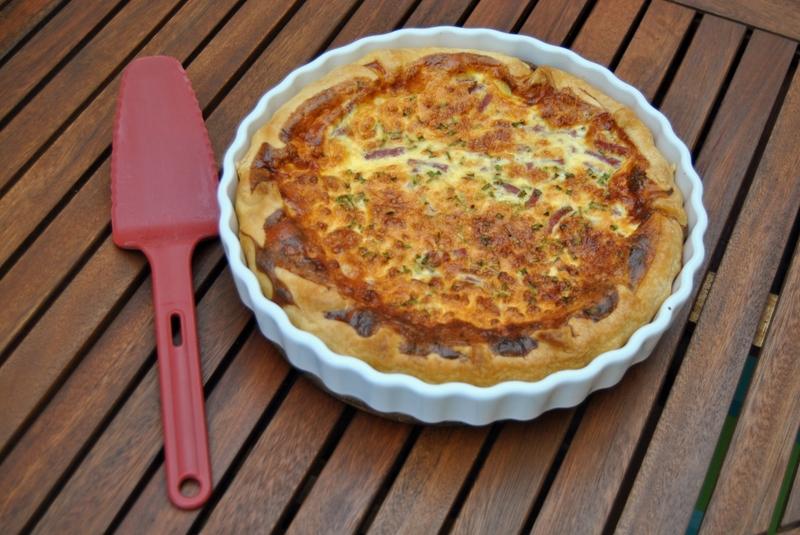 One of those yummy French recipes I grew up with is Quiche Lorraine (for those who don't know it, it's an open pie with a filling of custard with smoked bacon and cheese). If you ask me it's the perfect recipe for so many occasions! It's easy to prepare, handy to eat and while the ingredients make it a perfect winter comfort food, it also tastes really yummy and fresh with a side salad in summer. The recipe my family has been using for years and which I will now share has been taken from a traditional Luxembourgish cookbook by Ketty Thull. The book has already been published in the mid 20th century but is still so popular that the publisher Editions Schortgen has recently given it a makeover. 1. Unroll the puff pastry into a greased tart tin. 2. Put the bacon and Swiss cheese inside. 3. Mix the eggs, milk, salt and pepper and pour it over the bacon and cheese. 4. Bake in the oven at about 220°C for 5-8 minutes and then 20-30 more minutes at about 180°C. 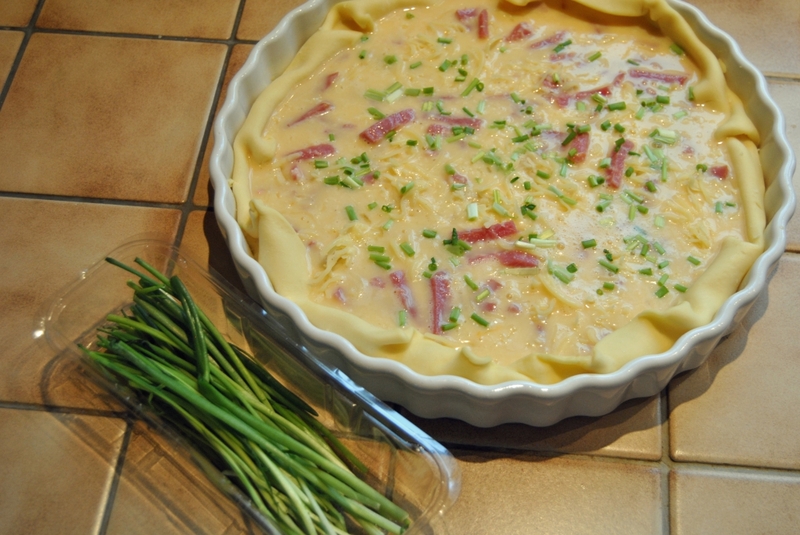 5. Who likes may add onions or, like I did, herbs like chives or parsley. In fact Quiche Lorraine is a great recipe for a party so why not make mini quiches using muffin moulds or something similar? Oh and let's not forget what day is today! What would be better to surprise your Valentine than some yummy French food? Oh boy you just made me hungry and on that note I am going to step out and get some food, still working then off for hair cut and then a dinner date with a gay friend. Ive never tried making this before, I am now inspired to make a vegan version! Have a wonderful weekend hun! yum yum das esse ich auch total gerne! It looks so good! It's a lot easier to make than what I thought. I think I'll give it a whirl. Thanks Carmen! 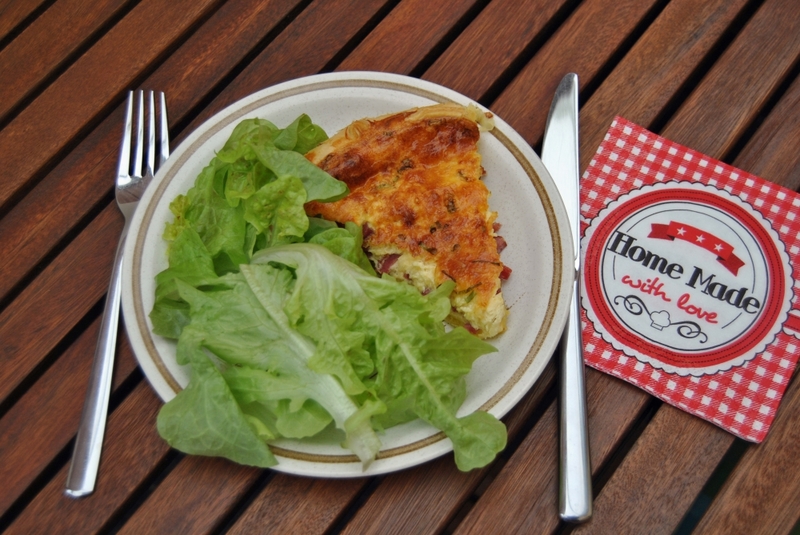 I love quiche Lorraine and yours came out perfect! Wow--- I didn't realize it would be that easy to make! Thanks for sharing!